I Think In Poems starts the year for Poetry Friday as the host! Thank you, Betsy! First, I want to congratulate and share a link to the Cybil's Finalists in ALL the categories. What a tremendous amount of work the Round One Panelists had to do, although the reading is a pleasure! I have the honor of serving again this year as a second round judge in poetry, and look forward to examining the following wonderful books, although it's always so hard to "eat" just one. Congratulations to the poetry finalists, wonderful to see! I taught middle school aged students for many years before I moved into the part-time position of literacy coach. We read and wrote much poetry together, and I always searched for more good books to share and to find poems that were accessible to these young adolescents, but that also lifted their ideas of poetry into new possibilities. One of my favorites was Naomi Shihab Nye’s and Paul B. Janeczko’s collection, I Feel A Little Jumpy Around You. This collection’s sub-title is “Paired Poems by Men & Women.” Each double page offers a poem by a man, and then a woman. And there are many in this book! You can take a large peek at more than one poem on Google Books here! One poem that I have kept in a journal where I save favorites seems appropriate for this beginning of 2014. It is by Edith Södergran, called a Scandinavian modernist. Her publisher, Marick Press, writes this about her: If there is, in this world, a possibility for an entirely free and pure poetics, a state of writing from an unbounded spontaneity carried as if entwined with the present moment, then that might have been the poetics of Edith Södergran. She once wrote: “There are words I have never heard, but I need those words. Perhaps your own heart could give you or tell you those words. But have you ever believed your own heart? Sadly, she died on Midsummer’s Eve at the age of 31.
before I found the first thread of my new red dress. My students also liked this, feeling that it represented forming themselves, growing up. To me it can be the representation of any new thing, a year’s beginning, a change in a job or a home. 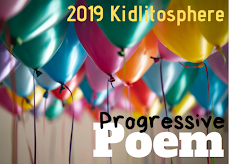 I wanted my students to participate in the poems by connecting their lives with the words. This poem was elusive enough to intrigue them, and I have loved it too for a long time. Happy New Year, Linda, and thanks for this post filled with good stuff! I must get my hands on that collection. Thanks especially for introducing me to Edith Södergran-- I look forward to seeking out more of her work. Thank you Michelle. I'm happy you enjoyed the poem and will look for her again. Happy New Year! What a wonderful poem to begin the year...and I too love this book. On this cold snow day in Western New York, today might just be the day to pull it down from the shelf again. Thank you! Many blessings and warm wishes to you and your family for a beautiful 2014. Hi Amy, and thank you! I see on the weather you are in quite a storm! Hope you and the family are tucked in quite cozily and enjoying poetry. So happy you know this book-I do enjoy it a lot! Happiest of new years to you and the family too! I'm looking forward to your FB sharing! Thanks for introducing me to this book of rich poetry. I have to say I am attracted to the image of red thread in the basket. Is that your own? Happy New Year! I hope you can find the book, Margaret. At least some would be good for your younger students! Yes, the basket is mine, with the old spools, from a grandmother. "Somewhere in space hangs my heart," I love this line. What a beautiful poem to share today and once upon a time with your students. Thanks Betsy. I do love this poem! Thanks Bridget, and the same wishes to you too! Lots of poetry on its way, right? Happy 2014 to you, Linda. I was so sad to read of Södergran's passing at the age of 31. A great loss, but luckily we have her writing. Yes, that is so young, & what a gift she had. Thanks Diane. Here's to "new beginnings" and "connecting lives with words." I'm just going to ponder those phrases for a bit today. Thanks, Linda. Thanks Cathy-always love sharing poetry with students! Elusive enough to intrigue, that is exactly so, Linda. I can just imagine the discussions and the poems that followed! How very sad that she left the world so young. Thanks Tara-the book was just right to share with students! It always got them thinking differently about poetry & the possibilities. I have absolutely no idea how you're going to pick ONE from that fabulous group of finalists! I know, I know. It's going to be quite a conversation, isn't it? I love this collection. Like Amy said, this snowy day might be a good time to take another look at it. Happy New Year! I'm happy to hear that others do know it. I love the poem, so thought it was good to share where I found it. Thanks, Linda! Oh, Linda, I'm thrilled to find a new poet whose work I can explore - thanks so much for posting the link to Sodergran's poem. I'm looking forward to working with you in Round Two! Me too, Julie, it's going to be fun, but not so easy I think! So glad you like the poem. She is such an interesting poet, and gone before really doing more as she must have wanted. Thanks! I used to teach an online poetry class a long time ago, Linda, and one of the poets we studied was Edith Södergran. It is sad that she died so young! How wonderful that you know about Edith Sodergran. Do you have any of her collections? Do you have a favorite? And yes, it will be a tough choice I think, too. Thanks Tabatha. Love the idea of sparks flying through space, from one reckless heart to another. Thanks for sharing this. And good luck with the Cybils judging--what a tough choice you'll have! Yes, it will be challenging, I think. I'm re-reading those I know & starting to read the others. Happy you enjoyed the poem, Buffy. It is a beautiful image, isn't it? Love the beautiful imagery in Edith's poem. Thanks so much for sharing it and introducing me to her work. Best of luck with the Cybils judging. Sounds like a very tough task ahead of you, but I'm still a little envious. Enjoy! Thank you Liana, & yes, choosing the winner will definitely not be easy. I'm glad you love the poem & might look for more. Nice to hear! What an intriguing and mysterious poem. Enjoy your Cybils journey. I can only think it will be a bit like walking through the solar system and trying to pick your favorite planet with each one possessing its own charms and allures. Hm-m, love that you connected both, Violet. I am looking forward to the conversations, but I know choosing will be hard. Thank you! I don't envy the decision you have to make for the Cybils poetry award. That's quite a list! sparks fly from it, shaking the air/to other reckless hearts.” So haunting, especially knowing that she died at such a young age. I love the photo, too. It reminds me of my grandmother. She used to have darning eggs like these. Thanks for sharing, Linda! Thanks for your comment, Catherine. Happy you like the poem, I do love it! 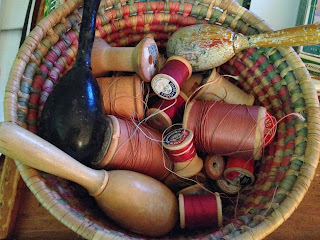 And the darning eggs were from older members of my family too. It's My Weirdest Giveaway EVER!